The TExES Social Studies 7-12 exam is for certified Texas educators who would like to add an additional certification in order to teach social studies at these grade levels. It measures your knowledge of this subject according to the statewide curriculum as well as your ability to teach students at this stage of psychological development. 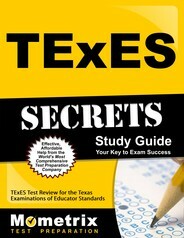 What Do I Need to Register for the TExES Social Studies Exam? If you meet one of the above criteria, you may register online. To do that, you need to create an account, pay the exam fee of $131, and choose your preferred appointment. It’s recommended that you do all of this as soon as possible. Although the exam is offered on a continuous basis, appointments are given on a first come, first serve basis so scheduling early ensures you get the appointment you want. What Topics Will I Be Tested On? In each section, you’ll encounter questions that measure your knowledge of the subject according to the statewide curriculum as well as questions assessing your ability to develop strategies for teaching that knowledge to students between 7th and 12th grade. How Is the Test Administered and What Should I Bring? Do not bring any other personal items into the testing center with you, not even pencils and paper. Once you have started the exam, you’ll be allowed to take breaks as needed but the exam time does not pause and you will not be allowed to leave the testing center. The test is scored on a scale of 100-300 with a minimum score needed of 240. You’ll be able to log into the account you created during registration to see your score report within seven days of taking the exam. There are no official score reports mailed to you nor do you need to send any out since the testing center will automatically report your scores to the TEA. The most important thing is to give yourself plenty of time in the weeks leading up to the exam to study without feeling rushed or anxious. With a concrete study plan like the one provided in the Mometrix study guide, you’ll be able to relax while knowing that you are using your study hours as efficiently as possible. The study guide also includes other tips for performing your best on test day including how to deal with the time constraints, how to make the best possible guess when you encounter a question you just don’t know, and how to look for context clues in the phrasing of the questions and answers. And, of course, the guide itself is packed with all of the most relevant information regarding all of the topics you might encounter on the test. Creating a comprehensive set of flashcards is time-consuming and difficult when you aren’t sure what will be on the exam. So a great way to save time while making sure you still focus your study time on the relevant concepts and ideas that really matter for this exam is to use the thoroughly researched and expertly crafted flashcards from Mometrix. 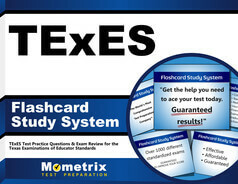 Complete with their method for studying with flashcards, you’ll be able to efficiently remember and recall all of the most important concepts and information for the TExES Social Studies 7-12 exam.